Security Memetics: What Do You Mean You Encrypt The Passwords? 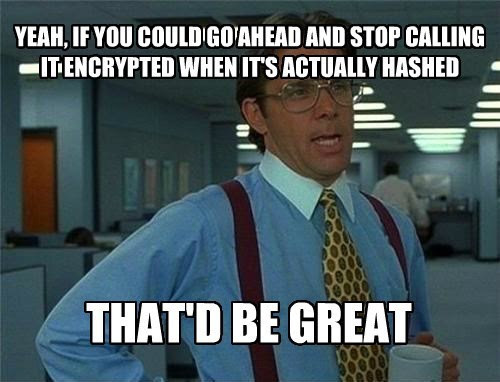 While it is technically possible to use a hash function for encryption, encryption refers to a process that can be reversed and if you're using a hash function then there's a really, really good chance that reversibility is not a feature you want. It's certainly not something you'd want for passwords.